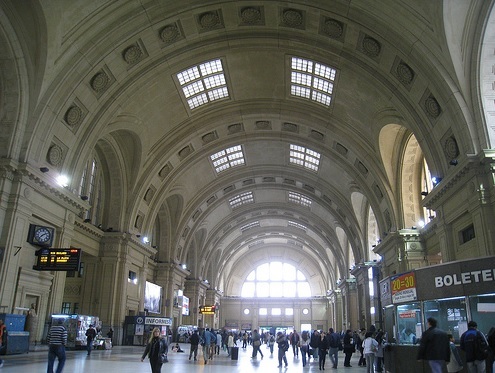 Retiro Train Station, which you may remember from Oscar Winner “The Secret in Their Eyes”. 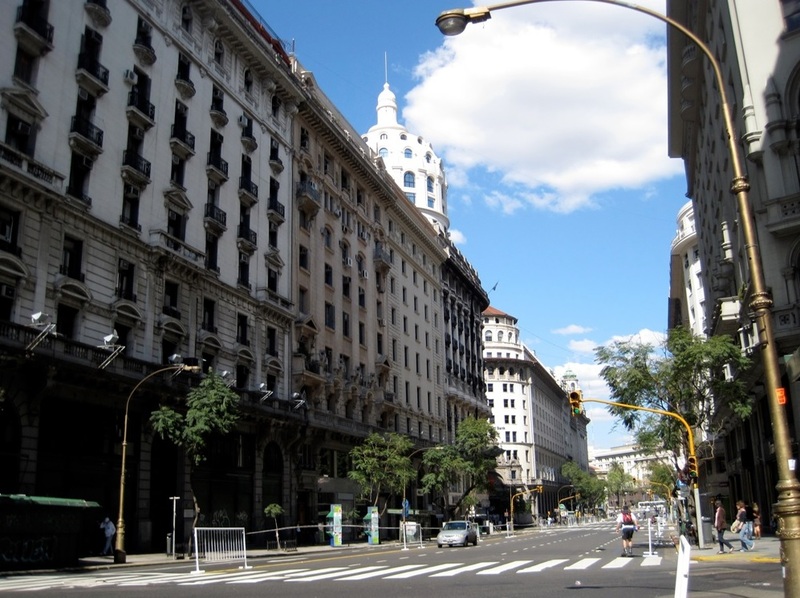 Buenos Aires is always a popular spot for filming. In 2013 the city saw over 300 commercials shoot in its streets, 72 of which were international productions, as well as 46 different local TV shoots and a total of 31 film shoots overall. 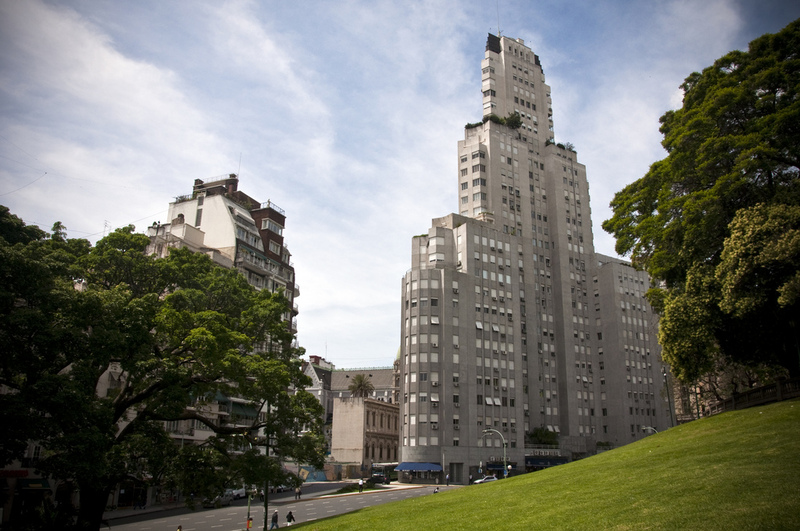 All of these are assisted by the Audiovisual District, a center for the promotion of the audiovisual industry in Buenos Aires. INCAA (National Institute for Cinema and Audiovisual Arts) fosters international collaborations all around the world, resulting in a rich, diverse array of films shot every year in Argentina (this January actually saw the beginning of the first Argentinian-Polish co-production). Buenos Aires alone saw in 2013 the heist flick Wine for Stealing (Vino para robar), shot in collaboration with Spanish and French studios; an Argentine-Canadian adaptation of local book The Games Maker (El inventor de juegos) starring Joseph Fiennes and Ed Asner, and American caper film Focus, starring Will Smith, Margot Robbie and Rodrigo Santoro. Will Smith and Margot Robbie on set in Buenos Aires, Buenos Aires. Focus was shot in the neighborhood of La Boca, the more touristy side of Buenos Aires, featuring busy bazaars and tango spots, as well as San Telmo, Chacabuco Park and San Martín Park. The latter is always a popular spot for shoots, offering an alluring clear of greenery in the midst of high-end skyscrapers. It’s also where Arts & Sciences staged an apocalypse for their End of the World commercial for US beer brand Shock Top. Said producer Marc Marrie, “We needed a city that had an existing good film base as well, as we needed talent, extras and crew at competitive rates to be able to achieve the creative within the client’s budgetary parameters“. BA flawlessly doubled for New York City. Other popular companies that chose to shoot their commercials in Buenos Aires last year were Canon, Coca-Cola, Doritos, Dove, Ford, Gatorade, Kleenex, McDonald’s, Quaker, Samsung and Sprite – just to name a few. 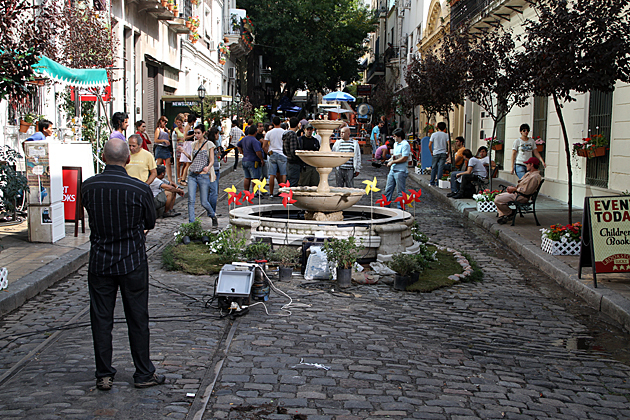 Filming in San Telmo, Buenos Aires can double for many old European capitols, including Madrid and even Prague. Studios from abroad not only choose to shoot in Argentina for its exotic appeal, but for its value as a cheap yet versatile location double as well. 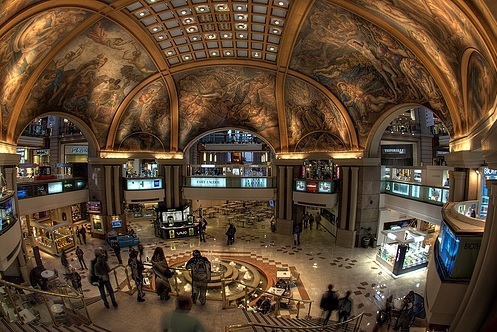 Popular spots like Retiro train station, high-end Recoleta neighborhood and the more colonial San Telmo constantly crop up in foreign films as location doubles for the real thing, leaving none the wiser. Kavanagh Bulding in the Retiro neighborhood. Both Buenos Aires and Argentina are enjoying something of a popular spotlight, welcoming the increasing number of foreign shoots and productions that seek out to take advantage of the city’s many opportunities, as well as collaborate with local talent. If you’re interested in seeing how filming in Buenos Aires can add a magical touch to your next project, contact San Telmo Productions and we will be happy to help! Buenos Aires is a great double for Paris.